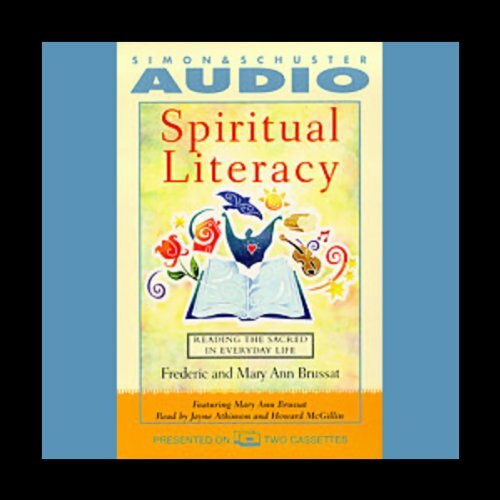 An audio guide that every seeker should hear, Spiritual Literacy answers the universal question, "How can I live a spiritual life every day?" Frederic and Mary Ann Brussat, who have been covering comtemporary culture and the spiritual renaissance for more than 25 years, believe that we can read the text of our lives and of the world around us for sacred meaning. All we need is spiritual literacy. To illustrate their point, the Brussats present "readings" about daily life from present-day authors - spiritual teachers, essayist, novelists, filmmakers, poets, naturalists, and social activists. This collection is unprecedented - an enthralling treasury of brief "aha!" passages from such writers as Maya Angelou, Thich Nhat Hanh, and many more. These remarkable readings tutor us in the art of lingering with our experiences and seeing the world with fresh eyes. Life's meaning and the presence of Spirit are found in the shape of a child's foot, in an encounter with a wild animal, or in the process of preparing a meal.